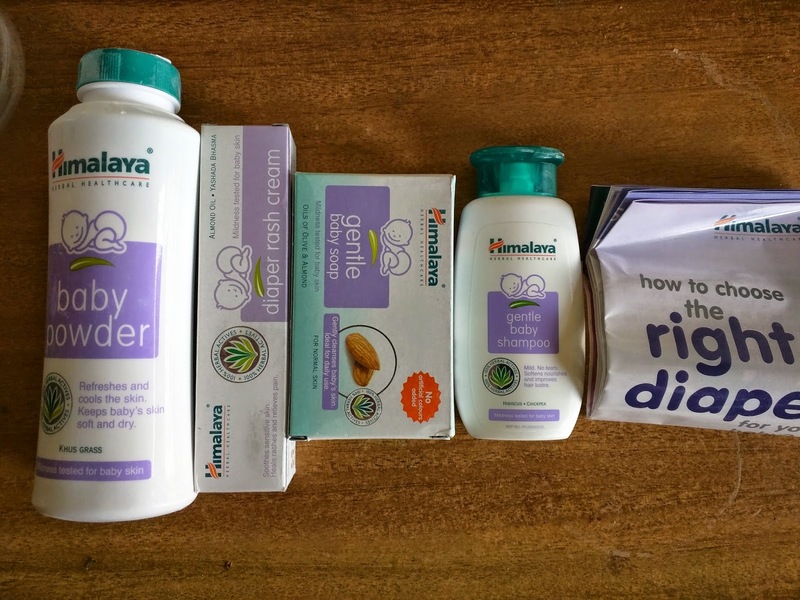 I received a lot of baby care gift packs when my baby was born, and one of them I recently received was the Himalaya Babycare Gift Jar. I have always been impressed and happy with Himalaya herbal & wellness products, because the ingredients used are always herbal, natural or ayurvedic as compared to artificial chemical ingredients in other brands. I was very excited to use them all, because when it comes to caring for your infant, you want simply the best, safest and natural products! The powder when you touch it, the texture itself lets you know its different from standard powders. It has Khus-Khus grass which natural antiperspirant and astringent properties, keeping my baby all day long! I love it's fragrance too! The best part about this soap is it contains olive oil and almond oil, leaving my baby's skin hydrated, soft and moisturized. Earlier after using a soap his skin would get dry and I had to lather a lot cream. After all winters and babies do not really get along very well. The soap is supposed to be for normal skin, which I believe they're trying to distinguish from sensitive skin. Again, natural ingredients like chickpea and hibiscus help clean and wash baby's hair so gently! Smells great, once again. Though the size/quantity in this jar set is very small, I'm going to keep it for travels maybe. Contains "Yashada" Bhasma that aids in healing the rashes, along with almond oil, aloe vera and other natural ingredients. I haven't had a chance to use this yet, fortunately, but I'm pretty sure it'll work wonders on the sensitive baby bottom. Overall, for the price i.e. Rs.165 for the jar set, its great value for money. You can even buy bigger gift sets, or buy them individually from Himalaya's online store. If you buy more than one, you can avail discounts too! Along with the products there even is a brochure of their products, which made me aware that they even have diapers! I did not know that as I hadn't seen them in any store. My next buy is definitely going to be their diapers. 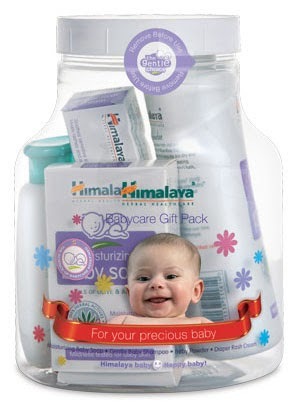 If you've used Himalaya baby care products too, or have any questions, do feel free to drop in a comment! Would love to hear about your experience. Upgrade your Car with Quikr NXT! Mastering Mexican with iChef.in ! Bedtime Rituals with my 4 month old! My SBL Haul Thanks to VOUCHERCLOUD! #NaviMumbaiFoodies Breakfast at Cafe Monza! Bath time with baby is #SoMuchMore!